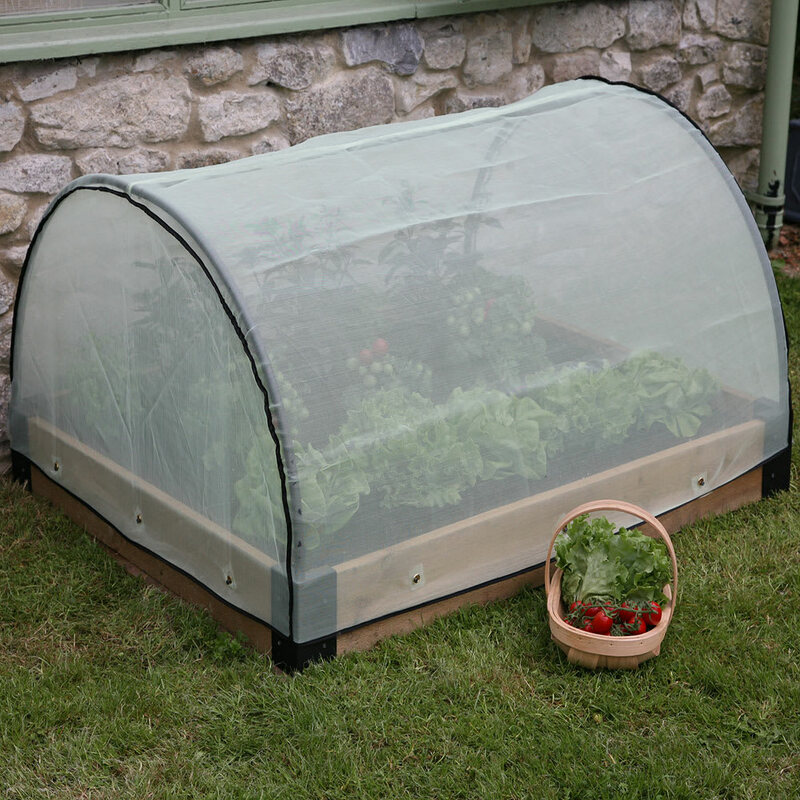 Ultra fine mesh cover that protects crops from aphids, birds, carrot fly and animals. Length 1.20m (3ft11") Height 50cm (1ft7") Width 1m (3ft3") . The ultra- fine Micromesh™ Pest Protection Cover keeps aphids, birds, carrot fly and other animals such as pesky hens off your precious plants. 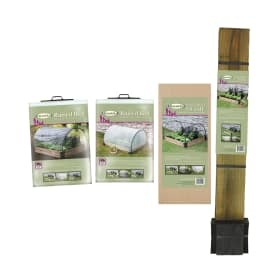 The Micromesh™ Pest Protection Cover also helps create the ideal growing environment as it allows air and rain to pass through easily, helps to retain soil moisture, but also prevents sun scorching. 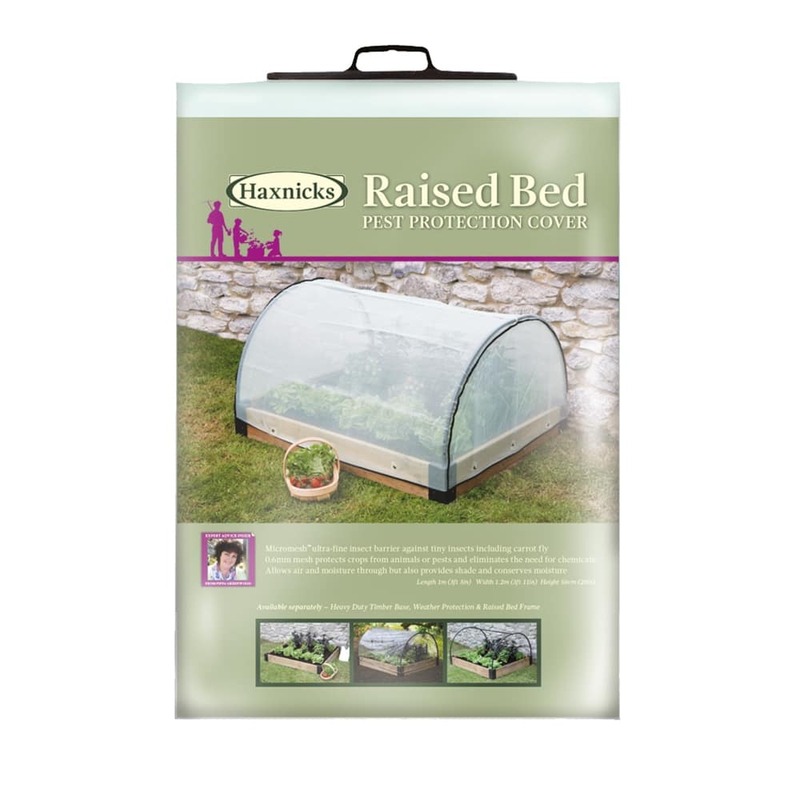 Fits snugly over your Raised Bed Frame, and can be removed and reused as needed. Helpful Haxnicks hint: Look out for the Full Set option, which includes a base, frame, and both covers.